The idea behind this line is to create 5-7 inch tall action figures of the various creatures and monsters which have become the stuff of myth and urban legend. 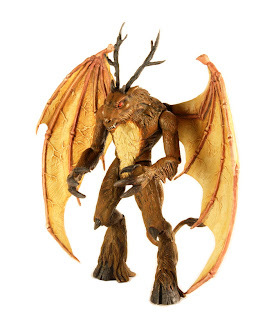 The line of 4 figures is slated to include Mothman, The Jersey Devil, Chupacabra, and "Momo," the Missouri Monster. 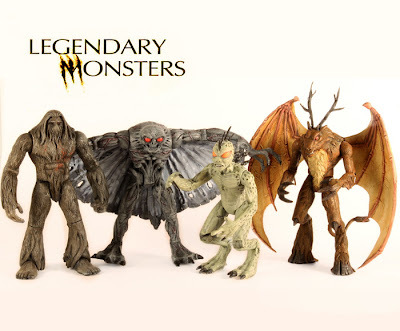 Now while I want all of these, Mothman is the figure that excited me most. Not only is he incredibly cool but I cannot begin to tell you how terrified I was of Mothman as a kid! After I read about him in an issue of Disney Adventures magazine (anyone else remember that?) I was terrified to sleep with my windows open for fear that Mothman might fly in. 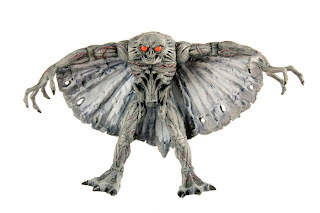 I now have a really cool stuffed Mothman in my study, but my life will be incomplete until an action figure version of my childhood dread sits on me horror shelf, taunting me daily! These figures look amazingingly sculpted and extremely well articulated. Seriously, this thing still terrifies the crap out of me. Jump on this if you're interested, as there are only 5 days to go! Richard has a variety of rewards available for funding the project, including simply pitching in a couple of dollars for some wallpaper, picking one of the figures listed, ordering a whole set in a variety of paint schemes, and even being able to obtain some of the prototypes! I pitched in for the set of four basic figures and hope these get made! They'll go great with a variety of action figure lines: G.I. 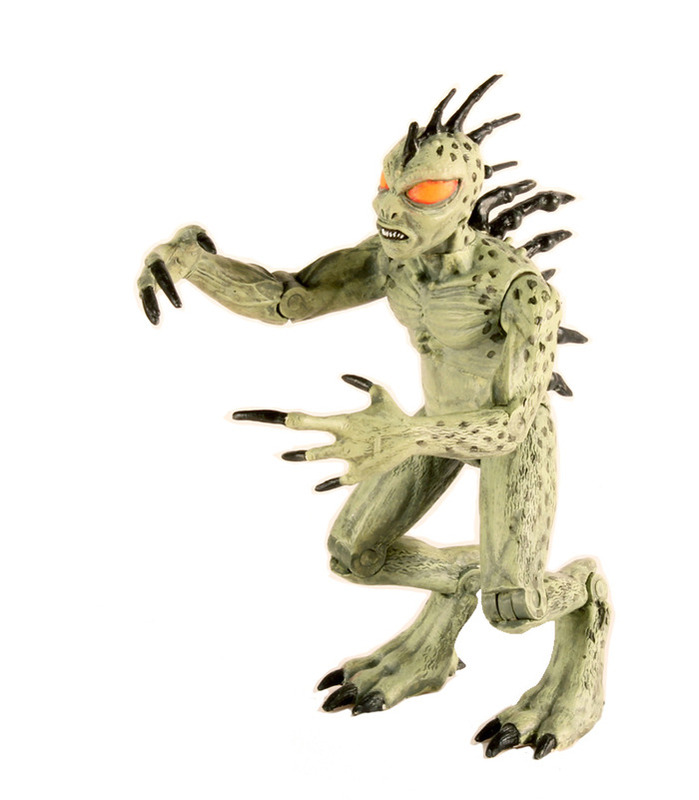 Joe, Hellboy, X-Files, or even a general horror themed collection! Who doesn't like monsters? (Wimps, that's who!) Here's some more pictures and some cool concept art from the project to help you make up your mind! 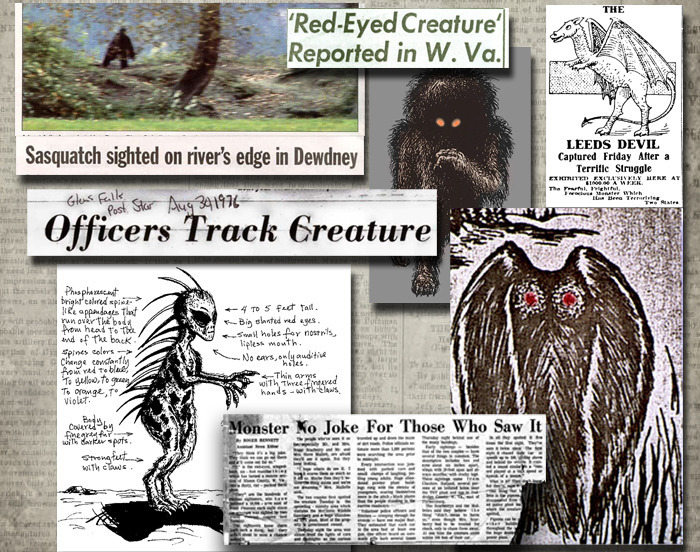 Left to right: Regular Missouri Monster, Glow in the Dark version, and "Retro" version. The figures are based off of various eyewitness accounts to these creatures- spooky! The Chupacabra! Just the toy to give your kids to scar them for life! I love all of these! It's pretty tough to choose which is my favorite. I'm leaning toward Mothman, but The Jersey Devil is a close second. Great post! Hey everyone! Quick update: while the Kickstarter fund didn't go through, I spoke to Todd via an email and there's no reason to count these guys out. Todd is committed to and passionate about this line.  I'll post another feature as more happens!